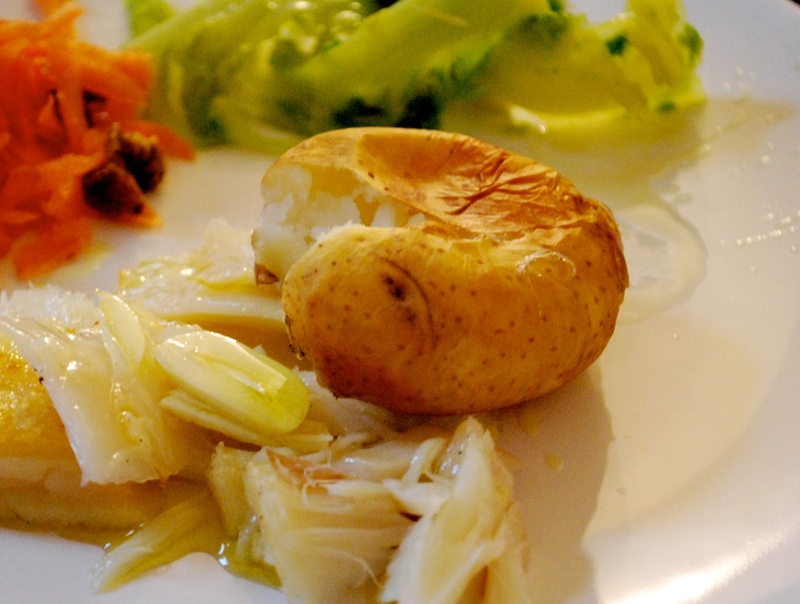 One of the classics amongst the 1001 bacalhau recipes that guide the Portuguese through each calendar year. This way of cooking cod intensifies its salty flavour and produces an irresistible sauce resulting from the mix of olive oil, garlic and the cod juices. Accompanying the cod is a bed of spring greens and the obligatory “batatas a murro”, baked potatoes, punched open just before serving. Salted cod needs to be soaked in cold water for 2-3 days (depending on the thickness of the steaks). Water should be changed twice daily. 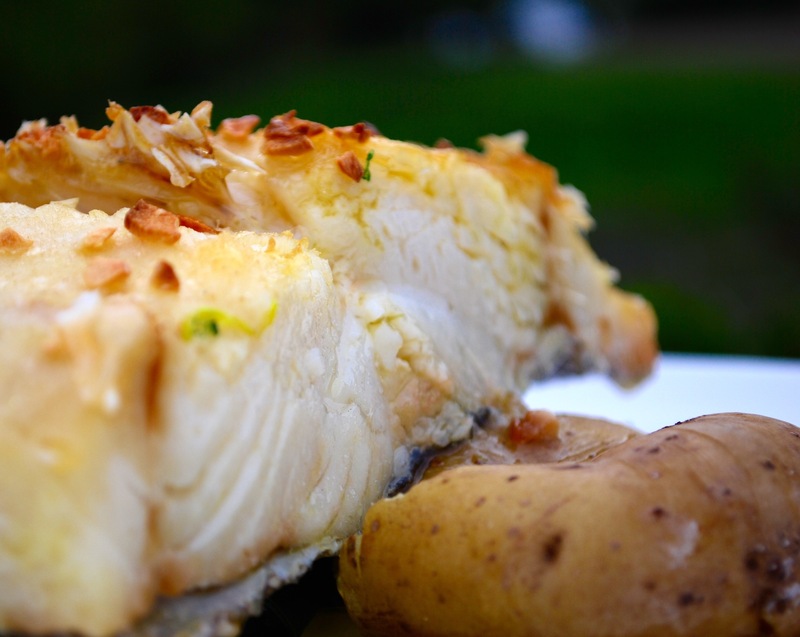 Given the ubiquitousness of salted cod (bacalhau) in Portuguese cuisine, this blog has admittedly few references to it so on to the task of remedying that with a classic dish from the centre of Portugal (Beiras region) – Bacalhau à Lagareiro. Lagar is the portuguese term for olive oil press and lagareiro referring to the worker of the press. This recipe, not surprisingly, is very much about putting the best quality olive oil (azeite) at the centre of the dish. Together with flavourful garlic and “punched potatoes”, this is one of those simple combinations of flavours and textures that is characteristically Portuguese. As with most bacalhau recipes the cod needs to be soaked beforehand. Soaked cod freezes well so you can soak a larger batch and freeze individual tranches. Chick peas and cod is a traditional Portuguese combo. This recipe mixes both key ingredients in a light dressing, all combined into a salad that can be served as main dish or starter. I’m not sure this is one of the 1001 ways of cooking salted cod (bacalhau) that the Portuguese brag about but here it is. It usually works for those on the opposite spectrum from boiled cod lovers and is a kind of variation of the traditional chick pea and cod salad (salada de grão com bacalhau).